Democratic candidate for governor Dan Malloy made a pitch to 3,000 teachers Wednesday night during a telephone town hall, using the opportunity to attack his opponent’s commitment to education funding and make other key distinctions. Malloy referenced the state’s constitutional obligation to provide education at least twice during the call and called binding arbitration a right. He said binding arbitration is not perfect, but it avoids strikes. According to CEA president Phil Apruzzese, the call began with 1,500 teachers on the line and by the end at least 3,000 teachers listened while fellow CEA members asked questions. “We know that getting our members mobilized and to the polls is key for a Malloy-Wyman victory,” said Apruzzese at the beginning of the meeting. Malloy said Republican candidate Tom Foley’s plan to cut $2 billion from the budget won’t make up for the $3.4 billion budget deficit. He said Foley would need to cut local aid to make up the rest. “Whether its ECS or town road aid, he’s going after it,” Malloy explained, referring to education cost sharing grants. Malloy said funding from the state has not kept pace with general inflation, let alone the rate of education inflation. Malloy said he would “hold school systems harmless” for the 14.5 percent cut in education cost sharing grants imposed by Gov. M. Jodi Rell. According to Malloy, the cuts were hidden through the use of federal funds from the American Recovery and Reinvestment Act, commonly known as the stimulus bill. He said he would return ECS grants at least to their original level when the stimulus funds expire. Malloy said he worried about the “potential unfairness” of merit pay or making salaries reflect test results. “I am fearful of the outcome for teachers,” he said. He said he has not given up on making defined benefit plans – pensions – work. “We can. We know we can,” he said. Malloy said universal pre-kindergarten and early childhood education is the “foundation of closing the achievement gap.” He said it should be provided on a “sliding scale” to give low-income children the opportunity to attend school early. Connecticut municipalities rely more heavily on property taxes than any other state, according to Malloy. “We’re not the state that gets it right and everyone else gets it wrong,” he said, adding that communities should have the ability to use other taxes to fund themselves. Malloy said he supports “teacher-driven reform.” “Most teachers I know know what needs to be done in school systems,” he explained. “I am in favor of appropriate testing,” Malloy said, explaining that federal waivers are available to allow fewer tests. Note: Janowski received a recorded phone call on his cell phone Tuesday from CEA president Phil Apruzzese inviting him to attend the telephone town hall for CEA members. Apruzzese said Janowski would receive a second call Wednesday night at about the same time. Janowski’s wife is a member of CEA, however, she has never used Janowski’s cell phone number as her own. Janowski does not know why he received the phone call. The first issue that jumps out at me is the statement referenced above that Dan Malloy made concerning pensions. Knowing full well how poorly funded our pension fund is how then did Dan pick Nancy Wyman for his Lieutenant Governor? She as comptroller was fully aware of the pension debacle. What no one wants to mention is that under Nancy Wyman ( evidently Dan Malloy must supports this) the SRES has not gotten to the 11,000 audits that need to be done. That means in many cases hundreds of thousands of dollars are being paid to retirees that should remain in the pension fund. Other retirees are receiving less than they should receive. I have spoken to retirees that retired in 2000 that have yet to have their final audit and others even before 2000 indicate the same. The entire SRES and Retirement Commission needs to be dismantled and reorganized and that is something Tom Foley will not be afraid to propose to the Legislature. This antiquated, incompetent system is being allowed to run the state into the ground because the unions and the legislature fear the mess they will uncover if they actually have an independent review of the pension fund and the committees that administer them. You would probably need a forensic accountant to unravel this mess. Educate yourselves on what is taking place with the pension fund, the administration of it by the SRES Commission and Trustees. Merely look up the comptrollers state site and go to -for the public- and review the minutes of the meetings, the agenda items and pay particular attention to the minutes of the overpayment committee meetings. How do folks find out five years later they owe the SRES $200k. What kind of interest are we losing here? What kind of waste of tax payers dollars are we as citizens allowing with this SRES administration and SRES Commission?. They wait years to tell folks they were overpaid, when the individuals can provide supporting evidence they did indeed notice ( as is required) the SRES of their income yearly, BUT yet the SRES took years to do their audit and will spend how much with the states AAG’s defending this incompetent system. The retiree has little understanding of their pension calculations so they can not be expected to know if they are over or underpaid. They must rely on giving truthful information in a timely manner to the SRES. The retiree has then fullfilled its responsibilty. Teh problem is the SRES fails to fulfill their responsitbilty to the retiree and that being a timely audit-perhaps within one year as we are told during our pre-retirement review?. In addition, I must add, as a union member for twenty eight years and an officer for fifteen in the union I have said it before and I will say it again, we as members need to stop thinking of only ourselves. Think of all the citizens that are privately employed or all of our unemployed neighbors that do not have the benefits we have. Do the right thing and vote for who will make the right decisions for all of us not just who will continue to protect the status quo of the union members. We received these benefits in the years when we were so grossly underpaid but let us stop fooling ourselves on the wage issue. I sat in 1982 for more than a year on the Masters Committee for the Objective Job Evaluation in the state of Connecticut. Our salaries were corrected to be more in line with the public secto and with negotiated wage increases over the years. We can not use the same old argument-we are paid less so that is why we get better benefits than the private sector. That just does not hold water in the 21st century, those errors were corrected years ago. As a retiree and a union member I think we all should share the pain. The furlough days for hourly union members is not the answer. We all know what happens in many sectors, I have personally witnessed it over the last few years as I have researched this issue, overtime is then often asked for and granted to the hourly employees. How did we save anything?. I feel sympathy for the fact that a furlough day is not equal. Someone may be paid $25.00 per hour, someone else is paid $ 80.00 per hour. If the unions want to negotiate fairly have a flat rate be the furlough amount. What someone making $80 per hour does not have responsibilties in the way of mortgage, childcare committments, car payments, insurance, etc. the same as the $25 hrly worker? This in itself is discriminatory and disparate treatment. Who do we as members think we are hurting? No one but ourselves in the end, our families and our neighbors. Do the right thing, vote for Tom Foley. Stop being misled by the media, and others agenda, figure out what yours should be. It should be for the good of all, not just yourselves. Be honest with yourself when you go to that voting booth on election day do the right thing. The reality is that this state can’t afford its state employee healthcare and pension liabilities. Further, our legislature hasn’t funded the legacy liabilities for many years leading up to what amounts to an estimated $50 billion unfunded liability. Any candidate for Governor who ignores this or who suggests that the liability doesn’t exist is short sighted and more likely negligent. Relative to the funding of ongoing defined contribution pensions for teachers…..it doesn’t make sense in this economy to even consider continuing these open ended liabilities. I agree that the state and local governments must meet obligations that they’ve committed to, but ongoing hires will need to be treated in a manner more similiar to the private sector. I want a Governor who has made a payroll, hired and fired and considered the big picture of actually living within a budget. We need to return to the adage “Never promise what you can’t deliver.” What Malloy is promising can’t be delivered. Our local budgets will continue to suffer. The state needs to stop spending without a plan. By the way, most smart employers aren’t creating jobs in this state….it’s just too expensive. You feel so strongly in your support for Dannel Malloy that you’re afraid to use your real name? If I were a supporter of his I’d be hiding my head in shame too. I PROUDLY stand with Tom Foley. I know Tom personally and he is a man of unquestionable integrity, generosity and has a track record of success that Dannel Malloy can only dream of. Your statement of naming a city or state is probably the dumbest thing I have ever read. Tom Foley is NOT a career politician like Dannel is. Tom Foley has a long and successful track record of turning around company after company. And before you start throwing Bibb at him, first of all not every venture a person takes is going to be successful. Secondly the company folded AFTER he was gone from running it for TWO years. It was a lame arguement when Mike Fedele brought it up in his desperation and it’s just as desperate now for the $6mm of state money man. Next, your statements about Stamford being so successful are comical. Successful at what? Taking credit for the work done by others? Maybe you mean his record on losing jobs? I know you must mean his success in rasiing taxes through the ceiling? That MUST be what you’re referring to. If these aren’t the things tht you’re talking about, then what, pray tell, success was there? OH…I know…maybe you’re talking about how successful Dannel was in getting contractors that were doing city business to fix his house…You might have me there. In terms of my business, you’re comments about folding it are just stupid…nothing more and nothing less. But it does fit in with the Malloy screw small business philosophy perfectly. Dannel is a potential nightmare for this state. If you want to support him, then you have every right to. But when you lose your job and you watch your taxes EXPLODE through the roof and about the only jobs left in Connecticut are debt collection…you can look in the mirror for the culprit. Let’s see, what kind of person would I like for a Governor? A Governor who will represent unions and their members or a Governor who wants to represent everyone in the state? The news that “Dan Malloy has no clue what it takes to make a city…work” will come as a complete suprise to the citizins of Stamford, the most sucessful city in Connecticut. What city or state can you point to as evidence that Mr “Foley knows what it takes to turn this…state around? When you talk about “the rights of ALL people” I assume you mean all the people except those who have contracts with the state. This is not “tough talk”…it’s just Foley propaganda. If you have to leave the state that would be unfortunate. It will not however be because of higher taxes, otherwise you would have left when the were higher than now under the previous Bush administration. Also, If you need employees and cannot afford to hire them in this job market, you should think about folding your business. Gee Dannel, do you think you can go any further into the pockets of EVERY union? No problem buddy, why don’t you just do us all a favor and stop hiding the strings that the union leadership is holding on you. You are not going to accomplish a single thing other than send this State into bankruptcy. Dan Malloy has no clue what it takes to make a city, let alone a state work. Tom Foley knows what it is going to take to turn this lumbering state around. 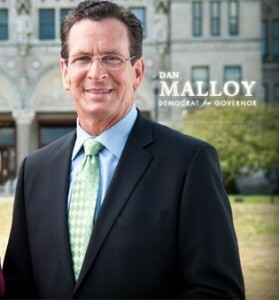 Unlike Dan Malloy, he has the balls to stand up for the rights of ALL people and make tough decisions. All Dannel is looking for are his hand outs and back slaps. He is an abomination of a candidate and anyone who votes for him is a fool. Is that tough talk? Yes…but what is even tougher is the fact that if he were to win, there won’t be any money left for the working man that he’s so in love with because he’s going to tax EVERYTHING they make and make their lives FAR worse than anything they have right now. Under Dan Malloy you will see businesses in this state vanish! Mine will be one of them. I am not going to hang around so that I can work my rear-end off to benefit the people that Dannel has made promises to and is going to tax the living death out of me. I cannot hire anyone to work for me now because my expenses from the state and from Obama are too high. He’ll make them worse. We need common sense answers…NOT more of the same tax and spend that Dannel has thrived for.